"iPhones sold as refurbished units may contain personal data from their previous owners that, with a little leg-work, is readily accessible by new owners. These data include email, images, contacts and more. "As previously noted, performing a 'Restore' operation on the iPhone does not delete personal data from the device. Such information remain intact on the device after a restore, making the process unsuitable as a preparatory measure for iPhone resale or service. Apparently, Apple's refurbishing procedure also does not delete the personal data." "Earlier in the week, a story hit the wires discussing how an Oregon state police officer was able to retrieve the e-mail, photos and other personal information left behind by the previous owner of a refurbished iPhone. Though the officer was using forensics software, the data remained retrievable. "The guys at Securosis have posted a guide as to a process they're working on to ensure that all personal information is overwritten." "We briefly mentioned using junk data to overwrite the the iPhone's flash as a last-ditch method of securely clearing off your user data yesterday, and although we were half-joking, that's more or less your only option until Apple provides a proper secure erase feature. Security researcher Rich Mogull has helpfully laid out the steps for you, and they're basically what you'd expect...."
"Contrary to some reports, these options will not cover the iPhone." "The Canadian iPhone is set to be launched in June and will potentially have the least expensive data plan of any carrier announced to date, Electronista has heard." "...The sources claim that the iPhone will qualify for Rogers' $7 on-device browsing plan, which currently allows all phones offered by Rogers (excepting BlackBerry and Windows Mobile devices) to access the web as much as they like through the carrier's officially-sanctioned browser." "As Winston Churchill might have put it, an Apple rumor can fly halfway around the world before truth has a chance to get its boots on. "Case in point: the iPhone mini-tablet story that broke Wednesday afternoon in Germany. "The only trouble with all of this is that it's not true...."
"If the kids are misbehaving then don't blame their E number intake, because it could be your fault - or your missus' - for chatting too long on mobile phones during pregnancy. "Women who talked on a handset between two and three times each day during pregnancy were found to be 54 per cent more likely to give birth to a child with hyperactivity and emotional problems. "The report also concluded that tots aged seven or below are still at risk from developing such behavioural problems if you let them regularly talk into a mobile phone." "The researchers behind the study have admitted this time that there could be other possible reasons why your kids are acting up, including a theory that mothers who chat lots on a mobile after pregnancy spend less quality time with their kids." "Here's a fun iPhone hack you'll either really love or really hate. VistaPerfection 2.0 is a complete re-skinning kit for Apple's wonderphone that lets it masquerade as a Windows Vista machine. "While many of you will ask: why the heck would you want to go and do that? Dunno. Maybe Spec Works (the guy who made it) just wanted to prove it could be done." "With Apple set to roll out the next major software update for the iPhone, and with it official support for third-party applications, it will come as no surprise that Google is busy prepping some new wares. 'We expect to have applications at Day One', Google's vice president of engineering, Vic Gundotra, told Macworld. "Even before the publicly available Software Development Kit (SDK) announced in March, Google had partnered with Apple to produce two of the iPhone's flagship applications: Google Maps and a native YouTube client. "So what can we expect next from Google? While Gundotra didn't give many clues, he did say that the company is eager to take advantage of native access to Apple's device." "What happens when your Sister Site, CrackBerry.com, manages to score a BlackBerry Bold on eBay? What happens after they do their hands-on images, videos, and walkthroughs, that is? What happens is they start sending the beast around the the office. So here we have a full gallery comparing the iPhone and the BlackBerry Bold. Head to head images comparing size, UI, web browser (though that one's not quite fair since the Bold's web browser ain't anywhere near complete yet), and of course media capabilities. "Includes iPhone vs. BlackBerry Bold Video"
"Research in Motion, the Canadian company behind the BlackBerry handheld gadget, is working on plans to launch a touch-screen version to compete head-to-head with Apple's iPhone. "RIM is understood to have been working on a new model called the Thunder - with plans to sell it exclusively through Verizon Wireless in the US, and Vodafone in other parts of the world. "Rumours of a touch-screen BlackBerry first appeared on the internet earlier this week, but it is believed that plans for the new model launch are well under-way." "In mid-May, RIM held its seventh annual Wireless Enterprise Symposium in Orlando, where CIO's Al Sacco met with Lazaridis to talk about the future of enterprise mobility, the competition, and more. "Lazaridis talks about the iPhone like a car enthusiast who drives a Bentley might talk about a shiny, new Ford Mustang: Nice, but just not for him, or, in this case, his customers, either...."
"iPhone enthusiast Bernat Alsina decided to construct an iPhone Car Mounting Bracket using a couple household items, giving him the ability to mount his iPhone or iPod touch right on the dashboard of the car for easy access while driving. In seven somewhat simple steps Bernat takes a hodgepodge of plastic, Velcro, and glue and turns it into something useful...."
"The popular mobile browser Opera today launched a software developers kit (SDK) for widgets. While rival Apple's iPhone SDK requires that applications be distributed exclusively through the still-unlaunched iPhone App Store, pay a $99 application fee and wait - Opera SDK built widgets appear to be much more open and free. "How important is this battle, not just between Opera and Apple, but between a wide range of mobile platforms?" PR: Napster, the pioneer of digital music, today announced the launch of the world's largest and most comprehensive MP3 store at www.napster.com/store. Napster's download store is more than 50% larger than any other MP3 store and boasts not only the largest major label MP3 catalog in the industry, but also the largest library of independent music available anywhere. All Napster download sales in the US will now be in the user-friendly, DRM-free MP3 format, which is compatible with virtually any MP3 player or music phone including the iPod and the iPhone. Napster is the first music subscription service featuring major label content to offer 100% of its catalog in the MP3 format for download sales. "Music fans have spoken and it's clear they need the convenience, ease of use and broad interoperability of the DRM-free MP3 format, and they want to be able to find both major label artists and independent music all in one place. Napster is delighted to deliver all of this and more with the world's largest MP3 catalog," said Napster's Chairman and CEO Chris Gorog. "Our new MP3 store, together with our award-winning 'all you can eat' music subscription service, provides the most comprehensive and exciting music experience available. Virtually any portable device in the world can now be used to enjoy tracks purchased at Napster, which is an important breakthrough for our company." Pricing for download sales will remain at 99 cents for single MP3 tracks and $9.95 for most MP3 albums, Napster confirmed. The vast majority of the MP3 catalog, including all major label content, is available at a high-quality 256 kbps bitrate, and downloaded tracks include high-resolution album art. Consumers can visit and browse the download store with no obligation or commitment, and can also choose to subscribe to Napster's on-demand streaming service, which is web-based and can be accessed from any Internet-connected computer without downloading software. "Our goal is to enrich your life with music, in ways that are personalized to you," said Chief Operating Officer Christopher Allen. "Napster now offers a truly complete and synergistic digital music destination, where music lovers can not only discover and listen to music, but also buy and own everything they want in MP3 format, which works on any music player. The combination offers consumers the best of both worlds." Napster gives music fans the freedom of choice to discover, experience, and buy music on their own terms. With its web-based, open, innovative products and services, Napster gives consumers the ability to enjoy music across their desktop, living room, portable music player, and mobile phone. "Developing online music services into true goto consumer music destinations depends in large part on reducing hurdles to adoption," said Susan Kevorkian, IDC's Consumer Markets program director, "By offering millions of high quality, MP3-encoded DRM-free tracks from all of the major labels as well as independents, this service is well-positioned to appeal to the broad spectrum of music lovers, including iPod and iPhone owners." Napster, the pioneer of digital music, offers the ultimate in interactive music experiences, creating better ways to discover, share, acquire and enjoy music - anytime, anywhere. The company's offerings include "Napster" - the most popular, on-demand music subscription service in the world; "Freenapster" (freenapster.com), a unique Web experience offering free, on-demand music legally in the US; and "Napster Mobile," one of the industry's fastest growing mobile music platforms, providing the premier mobile music experience for customers in 11 global markets. Headquartered in Los Angeles, Napster's services are available in markets across the Americas, Europe and Japan. PR: A few months after the successful launch of Mac2Sell.net, the new reference for used Macintosh prices, MacPlus, French speaking reference website for Mac and iPod daily news, today announced a new free and international service to estimate the price of an used iPod or iPhone. "The iPod2Sell guide to used iPod and iPhone" evolves every day and reference dozens of Apple iPod and Apple iPhone configurations. offers easy access to the Refurb Store. Mac Plus is a French nonprofit organization. Mac Plus NPO is the editor of MacPlus.net : Founded in 1997, this website is for 11 years a leader in the French speaking Mac community. MacPlus.net provides 24/7 news, products tests, analysis articles and many others free services to online Apple's users. PR: Richard Thalheimer, the creator and founder of The Sharper Image, is now introducing innovative products at his new online company, RichardSolo.com. 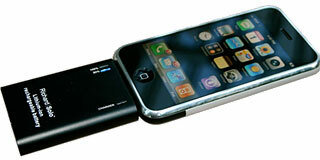 His first creation is a new rechargeable, compact backup battery for the iPhone and iPod. The Richard Solo Smart Backup Battery is the most powerful compact battery available, with 20 percent more power than its closest competitor. It quickly and easily "snaps on" to the iPhone or iPod without cables, and charges while you're talking, for the ultimate in convenience. "I've spent my entire career researching electronics and discovering the best new gadgets," said Thalheimer. "I've never been more excited about a new product. Not only does it look great, but it also functions intuitively and quickly to charge an iPhone on the go. Most importantly, it is the most powerful pocket-sized unit you can buy." Available now, this new, custom-designed battery is one-of-a-kind in today's marketplace, providing users with up to double the usage time. The Smart Backup Battery is made with a lightweight, aluminum case for scratch-resistance, and the 1200 mAh lithium-ion battery can take hundreds of charges. Hours of use may vary and depend upon many factors, including type of use and connection speed. 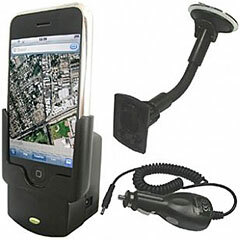 If you have an iPhone or iPod, this is a great accessory to keep with you. 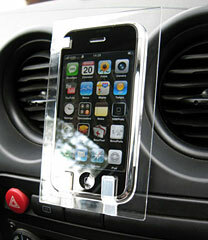 It has automatic on/off charging technology that protects it and your iPhone from overcharging. There are even LED lights to show you the status of the charge. It has received numerous accolades and reviews from bloggers, which you can read at www.RichardSolo.com. "The company's first priority," Thalheimer says, "is customer satisfaction." Therefore, RichardSolo.com is offering a 30-day, no-questions asked money-back guarantee with free shipping. PR: Tekkeon has expanded its mobile power product family to include TekCharge MP1800, a reusable emergency power source to charge and power an portable music player for more than a week, a mobile phone for an extra 17 hours of talk time, or a PDA for an additional six hours. This candy bar sized, 4.5 ounce device is a rechargeable lithium ion battery to power and charge mobile phones and many other popular portable devices. 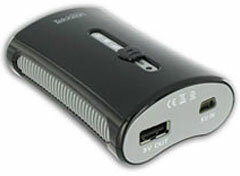 TekCharge MP1800 delivers 14.8 Watt-hours per charge through a standard USB port. The battery connects through a mini USB port to a mobile device in two ways: via an adapter that mates with the power port, or using the device's own USB cable, bypassing the need for an extra adapter. To combat the shortage of electrical plugs in most hotel rooms, TekCharge MP1800 charges a connected device at the same time its battery is being charged. TekCharge MP1800 includes a voltage regulator so it won't harm the connected device or its battery. A color coded LED provides the charge status, and TekCharge MP1800 even has a white LED flashlight at one end. "Like our popular myPower ALL line of external laptop batteries/chargers, TekCharge MP1800 is universal so it can be used with different types of devices, including most mobile phones, iPhone, iPod, Zune, MP3 players, portable CD players, and Bluetooth headsets," says Jerry Yang, president of Tekkeon, Inc. "In fact, supplying up to 800 mA, TekCharge MP1800 goes 60% beyond most portable batteries which provide 5V at 500 mA, so there aren't many devices it can't both run and charge." Using the device USB cable eliminates the need for a specific adapter; however, additional adapters are available from the Tekkeon store for devices with a USB cable. TekCharge MP1800, which retails for $44.95, is available through retail and major on-line stores, including Buy.com, DataVision, eCOST, Expansys, NewEgg, and RCS Experience, and from the Tekkeon store at tekkeon.com. It comes with a one-year limited warranty. PR: Aliph, a market leader in noise eliminating Bluetooth headsets, has introduced the new Jawbone Bluetooth headset. In the tradition of bringing together science and beauty, the new Jawbone design is 50% smaller than the original award-winning Jawbone, and features breakthrough noise elimination technology to provide even better voice quality than the original in a smaller and more ergonomic package. It is available today exclusively at AT&T retail stores and at jawbone.com or wireless.att.com. 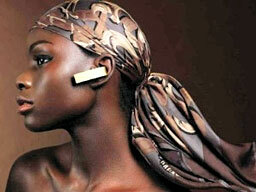 Bluetooth headset shipments are predicted to top 120 million units worldwide in 2009. With over 60% of new phones in North America shipping with Bluetooth, and handsfree driving legislation in effect in five states and the District of Columbia by July 1st, the new Jawbone combines unparalleled form and function just in time to appeal to a broad and growing consumer audience. The new Jawbone headset is the next step in the marriage of best in class noise elimination science with a personal design that is both humanistic and minimal. The new Jawbone features military-grade NoiseAssassin technology, which is unmatched in its ability to address real-world noise environments like busy streets, and cars and airports, and has ten times better voice clarity than competing headsets - meaning it transmits 90% less noise. The NoiseAssassin technology was originally developed by Aliph for DARPA (The Defense Advanced Research Projects Agency), which creates and delivers breakthrough technology for the US military. It is tested and designed to work in the toughest, most inhospitable terrain, when clear communication is critical, which means for the average user it is designed to perform everywhere. The new Jawbone headset is designed to be simple to use. Two streamlined buttons are operated by touching the outside shield, and they control all the functions of the headset, which is extremely lightweight at just 10 grams. "In creating the new Jawbone we focused on improving our audio performance beyond the market-leading noise solution that we already had, and elevating the design to a point where it would appeal to a broad range of consumers who would love to wear it," said Hosain Rahman, CEO and cofounder of Aliph. "Jawbone provides amazing audio quality in a form factor that is a true lifestyle accessory - it's a new and complete departure from the typical gadgetry of the Bluetooth category." "When Aliph and AT&T launched the original Jawbone, a new standard was set for voice quality and design in Bluetooth headsets," said Carlton Hill, vice president of Product Management, Voice Products and Affiliate Marketing for AT&T's wireless unit. "Given the market response to the original Jawbone, we are thrilled to work with Aliph again to launch the new Jawbone - which once again promises to be one of the most innovative headsets in the marketplace." The new Jawbone is designed to look and feel like an accessory along the lines of jewelry and eyewear. "If it's not beautiful, it doesn't belong on your face," said renowned industrial designer Yves Behar, chief designer of the Jawbone headset. Made with premium materials, including medical grade plastic with better cosmetic and health performance, the expressive aesthetic confers a premium visual and ergonomic experience. The new Jawbone provides a more comfortable and customized fit with three sizes of earbuds and four earloops that can be worn on either ear - two sizes of soft, stitched leather earloops and two sizes of slim earloops, ideal for use with eyeglasses. The new Jawbone is available today for $129.99 at AT&T retail stores nationwide and online at jawbone.com and wireless.att.com. Available initially in matte black, it will be coming soon in silver and rose gold. PR: To transform your low-fidelity mobile-phone audio into high-fidelity, stereophonic sound - wirelessly - Logitech - today announced the Logitech Pure-Fi Mobile speaker system. Soon you can be listening to your favorite tunes on your mobile phone - even when your phone is in your pocket. "Millions of people now use a mobile phone to listen to music. If you're one of those people, now you can toss your ear buds aside and pump up the volume," said Mark Schneider, vice president and general manager of Logitech's audio business unit. "So when you're at a party, at the park, or just hanging out at home, your mobile-phone music will always sound great when you use the Pure-Fi Mobile speaker system." If you have a mobile phone that uses Bluetooth wireless technology with the Advanced Audio Distribution (A2DP) profile, you can stream stereo audio through the compact Pure-Fi Mobile speaker system - up to 33 feet away from your phone. And thanks to the 2-inch high-excursion drivers and dual 2-inch pressure drivers, your mobile-phone music will fill your home, your car or your office with articulate bass and smooth treble. You can also use Pure-Fi Mobile as a wireless speakerphone. It features two built-in mics - one to pick up vocal nuances and the other to monitor and block unwanted background noise. And you won't need to even pick up the phone - the call-answer and call-end controls on the top of the speakers let you accept or end calls. When you're ready to hit the road, toss Pure-Fi Mobile into your suitcase, backpack or car and enjoy music wherever you go. The compact, one-piece speaker system comes with a protective case that can also carry charging cables. So you don't unexpectedly lose power, the rechargeable batteries give you approximately 12 hours of playing time as well as a battery-life indicator. Plus, if the batteries run low, just use the included power adapter or mini-USB cable and keep on rockin'. And if your favorite audio is on your PC, iPod or other MP3 player, you can enjoy the rich sound of Pure-Fi Mobile by pairing it to your audio source via Bluetooth or by connecting it to the built-in 3.5 mm audio jack - instantly enhancing your listening experience. The Logitech Pure-Fi Mobile speakers are expected to be available in the US and Europe beginning in June. The suggested retail price in the US is $149.99. PR: Polo Planet Software announces the release of Phone Wallpaper X 1.3 Retail Edition. The update offers more than 150 professional photos to create unique and impressive wallpapers for any types of mobile phones displays, iPhone, PDA. High-quality ClipArt images can be used even as desktop backgrounds. The update also improves performance of program and appends import of custom folders into wallpapers gallery with automatic creation of backgrounds fitting any display resolution. Polo Planet Software announces the release of Phone Wallpaper X 1.3 Retail Edition. The update offers more than 150 professional photos to create unique and impressive wallpapers for any types of mobile phones displays, iPhone, PDA. High-quality ClipArt images can be used even as desktop backgrounds. The update also improves performance of program and appends import of custom folders into wallpapers gallery with automatic creation of backgrounds fitting any display resolution. At least 200 MB of free disk space. Phone Wallpaper X is a full functional shareware with Preview watermark. Retail Edition via download priced at $19.95. Retail Edition on CD priced at $26.95.